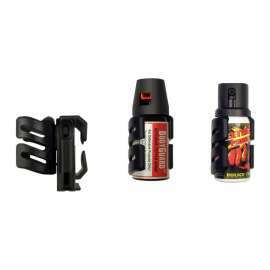 Universal Swivelling holder SHUN-14 for pepper sprays with vessel diameter 35mm to 38mm. 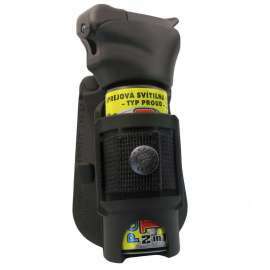 Identical to the SHU-14 model but without safety catch for the head. 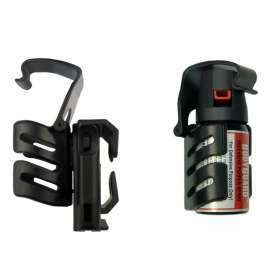 SHUN-14: Universal Swivelling Holder has been designed for professional use of Defensive Pepper Spray. 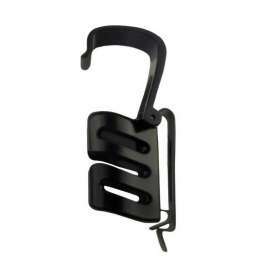 This type of holder is determined for the users, who do not require safety catch for the head. 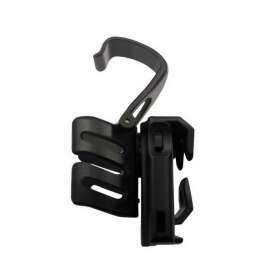 High durability of the Holder. 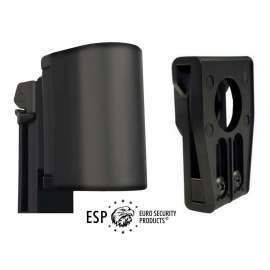 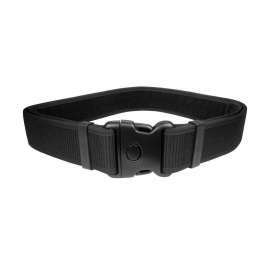 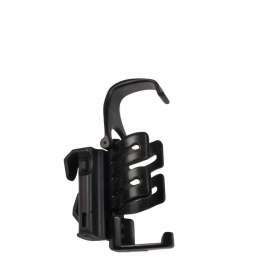 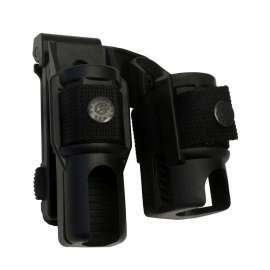 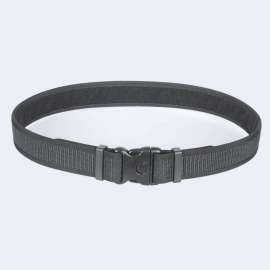 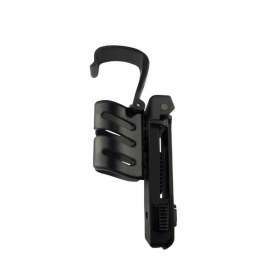 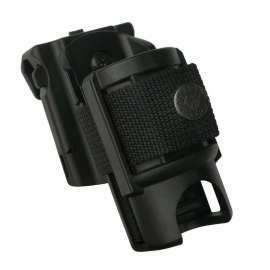 This type of holder uses new model of clip UBC-02 which enables rapid insertion of the holder on a belt (without necessity of unbuckling it) or to a tactical vest. 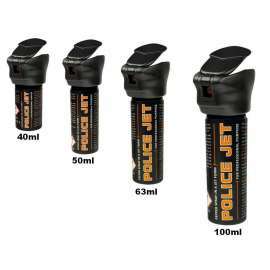 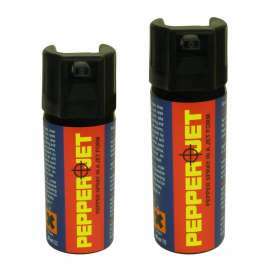 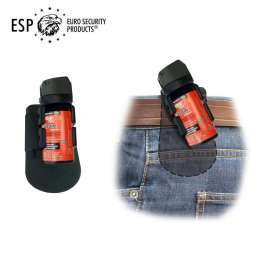 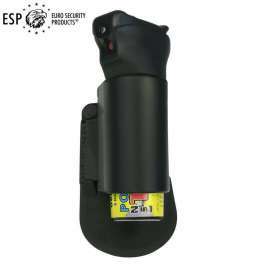 The Pepper Spray can be rotated in respect to the belt or to a tactical vest by full circle of 360 degrees with 16 locking positions. 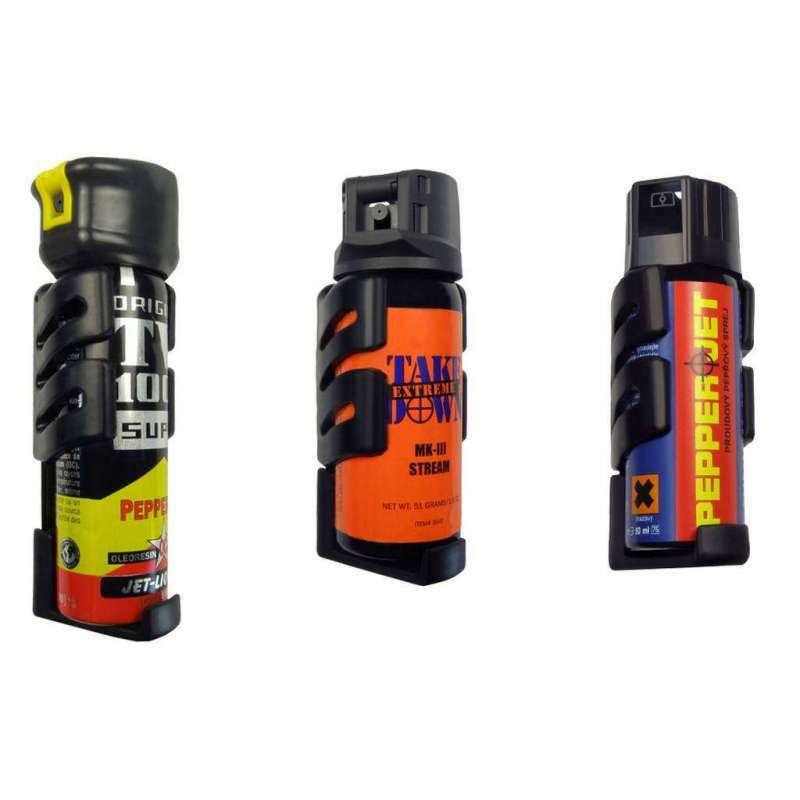 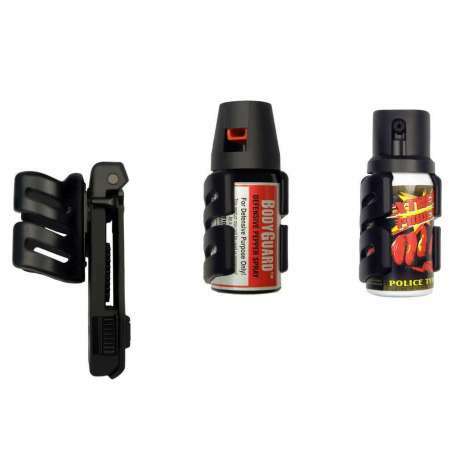 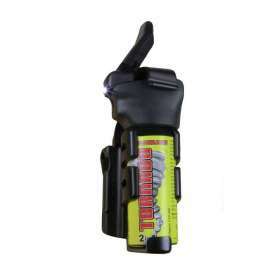 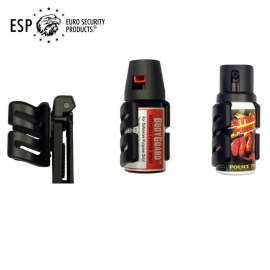 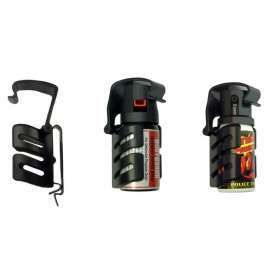 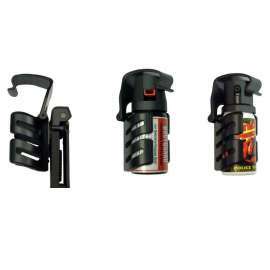 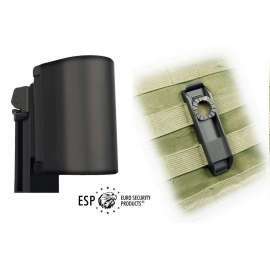 - SHUN-14-40: Adjustable holder for Defensive Pepper Spray with capacity of 40ml to 45ml. 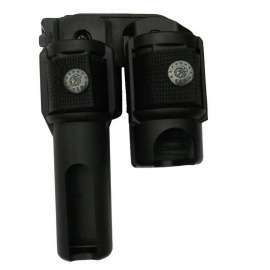 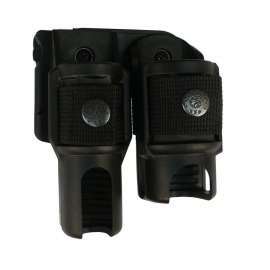 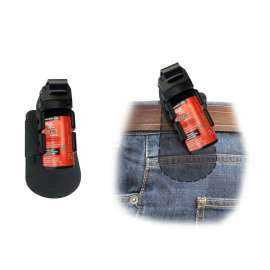 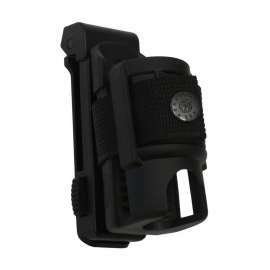 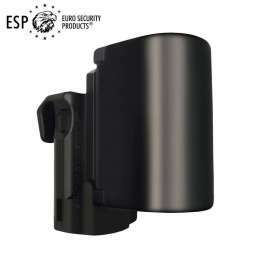 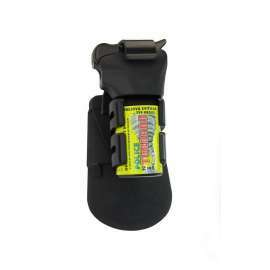 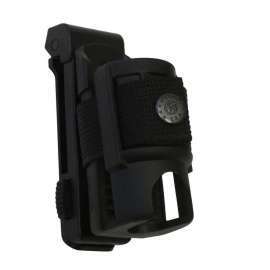 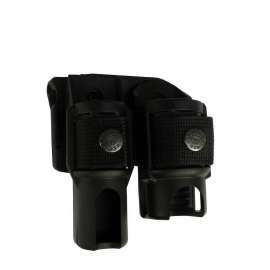 - SHUN-14-50: Adjustable holder for Defensive Pepper Spray with capacity of 50ml to 63ml. 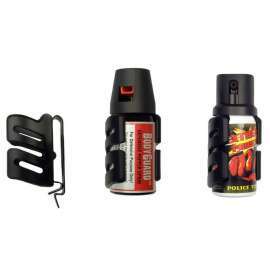 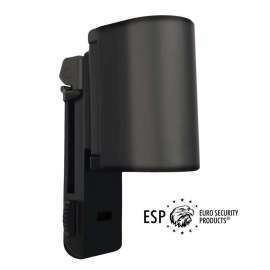 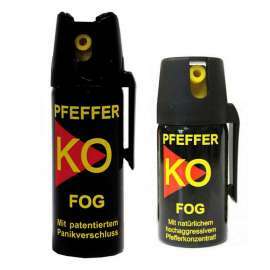 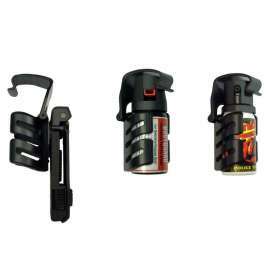 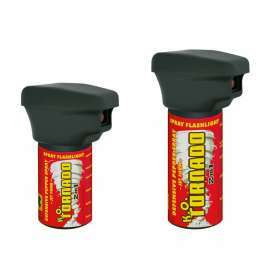 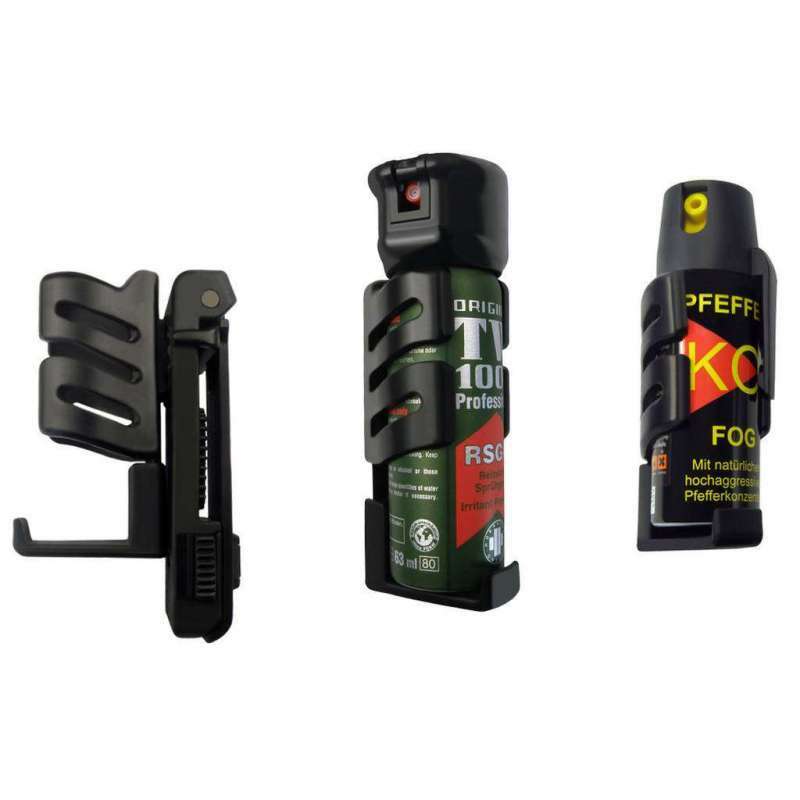 - SHUN-14-75: Adjustable holder for Defensive Pepper Spray with capacity of 75ml to 100ml.